The TAIKOPROJECT, founded in 2000, is an ensemble of America's premiere, emerging taiko drummers dedicated to preserving and disseminating American taiko drumming through educational activities and public performances. The ensemble's work balances the traditions and rich history of American taiko with a contemporary edge exploring new dimensions in taiko. Describe the ensemble's organizational structure and philosophy, including leadership structure, membership policy, and instructional process. TAIKOPROJECT is led by Executive Director Bryan Yamami and Artistic Director Masato Baba. There is a four-tier membership structure, starting with Trainees, usually members in their first 1-2 years with the group. Then upon achieving a set level of standards, trainees are moved up to Apprentice status, then Performer status, and then Senior Performer status. TAIKOPROJECT facilitates an annual Open House, where taiko players are invited to audition for the group and learn more about what it means to be a member of TAIKOPROJECT. Attendees are selected by the entire cast to be extended an invitation to become a trainee. TAIKOPROJECT was founded in 2000 in Los Angeles, California. 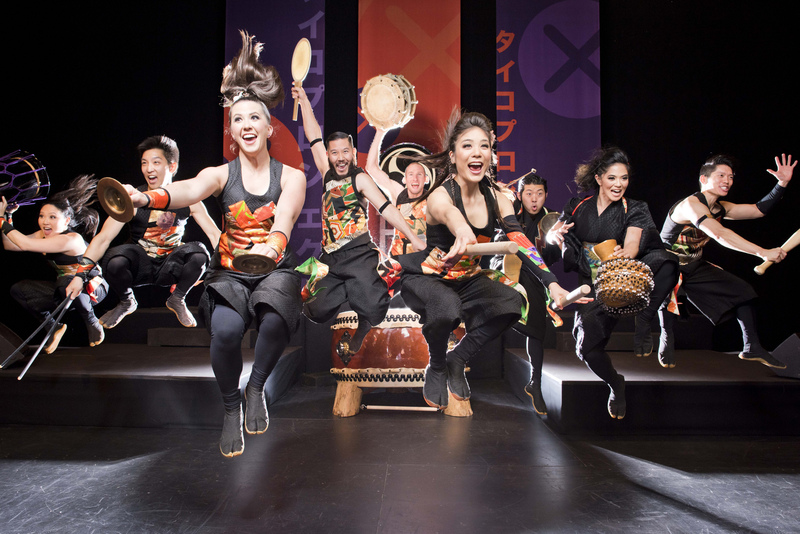 The group was conceived by Bryan Yamami with the idea of bringing together the best young taiko players in North America to create an innovative theatrical production celebrating American taiko. That show, TAIKOPROJECT: (re)generation , seamlessly blends taiko with storytelling, music, hip hop choreography, multi-media, and dance. TAIKOPROJECT: (re)generation made its world premiere tour Fall, 2003 - Spring, 2004 to Gammage Auditorium at Arizona State University Public Events, Meany Hall at the University of Washington World Series, the Japan America Theatre at the JACCC, the Mondavi Center at UC Davis, and the Kenneth Ford Theater at the College of the Siskiyous. 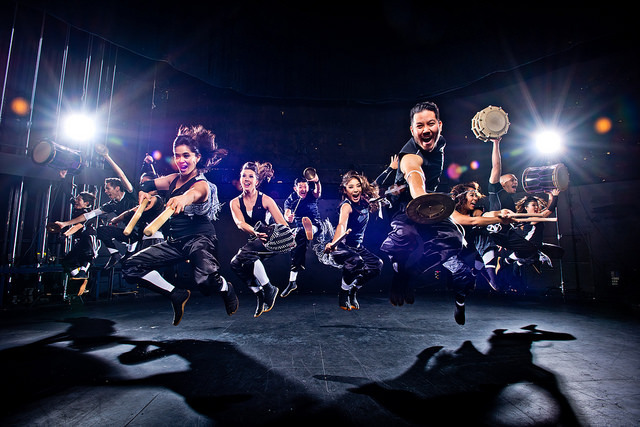 Following its first tour, the TAIKOPROJECT developed collaborations with a diverse group of artists, including klezmer clarinetist Leo Chelyapov, Vietnamese pop singer Bao Han, Chicano rock band Quetzal, internationally-acclaimed European DJ Tiesto, and Vancouver's Chibi Taiko. In Spring, 2005, the TAIKOPROJECT performed in Mitsubishi Motors of North America's innovative National Commercial for the Eclipse sportscar, featuring women from the group in a breathtaking 60-second commercial spot that was one of the highest-rated commercials of 2005 when it aired. The group was also invited to perform for the Hollywood Bowl's prestigious "Summer Sounds" program, working with the L.A. Philharmonic Education Division. In Fall, 2005, the TAIKOPROJECT traveled to Japan for the first time to represent American taiko at the 4th Annual Tokyo International Taiko Contest. As one of 12 finalists out of over 60 groups, the TAIKOPROJECT was the first American taiko group to participate in the internationally-recognized event. The TAIKOPROJECT made history and took home the top prize, First Place, in the Adult Group category, becoming then, the first American taiko group to win the entire contest as well. 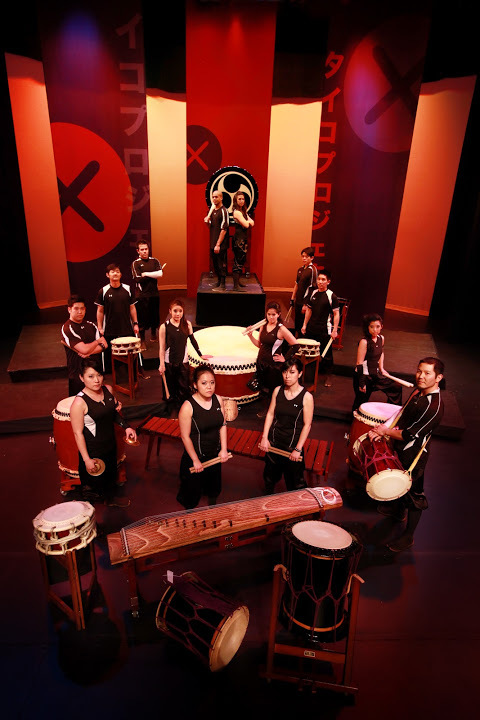 In Summer, 2006, the TAIKOPROJECT presented Rhythmic Relations 2006, a joint performance with Bombu Taiko, Kitsune Taiko, and UCLA Yukai Daiko to a sold-out house at the prestigious John Anson Ford Amphitheatre. They also traveled to Japan to perform at the acclaimed EXTASIA Festival in Ishikawa-ken, and performed at the Hollywood nightclub Bar Sinister. In Fall, 2006, the TAIKOPROJECT was selected to be a part of two prestigious juried industry showcases at the Western Arts Alliance (WAA) and International Performing Arts for Youth (IPAY) Conferences. TAIKOPROJECT also performed for Opening Night of the Los Angeles Kings' 2006 hockey season at the Staples Center and for the half-time show for the Los Angeles Clippers. In October, 2006, Bryan and Maz performed as guest taiko artists with rapper Xzibit for a music concert special on the DirecTV program CD USA. 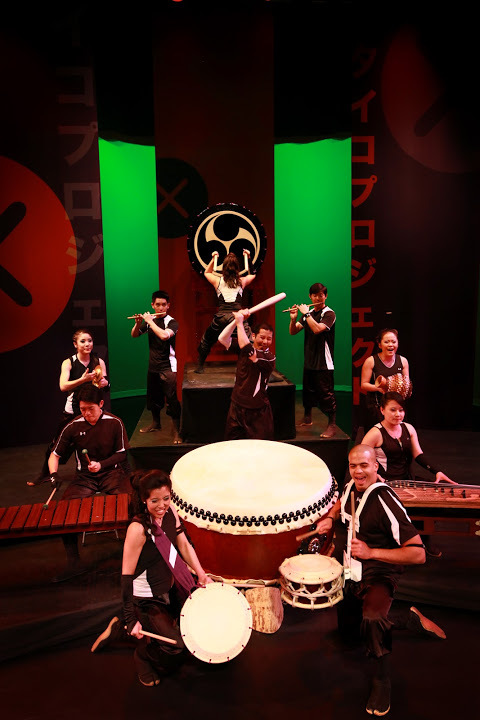 In Spring, 2007, the TAIKOPROJECT toured "(re)generation" along the West Coast to sold-out houses and exuberant audiences along the West Coast at theScottsdale Center for the Arts, UC San Diego's Mandeville Auditorium, the Lewis Family Playhouse in Rancho Cucamonga, the Washington Center for the Arts, theEdmonds Center for the Arts, and the Centennial Theatre in Vancouver, Canada. In Summer, 2007, TP played at the L.A. Coliseum for DYNAMITE 2007, one of the largest mixed-martial arts events in the U.S., broadcast on the Showtime cable network. TP was also cast in David Mamet's 2007 independent film entitled "RedBelt." TP also released new signature bachi drumsticks. In Fall, 2007, TP performed as a guest artist with Mu Daiko in Minneapolis, Minnesota and performed in Dallas, Texas. TP also performed for the first time in China, performing at the Wynn Macau Hotel & Casino. TP was also signed to the Artist Roster for Gary Lindsey Artist Services for a two-year North American touring contract. In Spring, 2008, TAIKOPROJECT traveled to Louisiana to shoot a scene for the feature film "Tekken," to be released in 2009, directed by Dwight Little. Upon returning, they recorded taiko bass tracks with acclaimed music producer Sam Spiegel for hip hop star Kanye West's North American tour. TAIKOPROJECT also toured to Arizona, Nevada, Iowa, and Illinois for various special events and performances. In Summer, 2008, TP performed at the prestigious Los Angeles County Museum of Art and completed their first Hawaiian tour with sold-out performances in Maui, Hawaii, and Oahu. TP returns to the John Anson Ford Amphitheatre for "Rhythmic Relations 2008" on July 12 & 13. TP was also the first taiko group in residence at the Orange County Fair in July, 2008. In August, 2008, TP collaborated with the Masanga Marimba Ensemble for an exciting, free concert of taiko and marimba at the Levitt Pavilion in MacArthur Park. In October, 2008, TP performed in sold-out shows in Lake Tahoe, California, Moab & Logan, Utah, and made their Mexican debut at the Festival Internacional de Chihuahua. In October, 2008, members of TP traveled to Athens, Greece, to perform in a three-month long run of "Night + Day," a musical production featuring Antonis Remos at the Athens Arena. In December, 2008, TP was featured in the L.A. County Holiday Celebration, broadcast on KCET during the holidays. In February, 2009, TP shot an episode of the upcoming MTV reality game show, "The Phone," produced by Justin Timberlake. The episode airs in early May. TP is slated to perform in the biggest film event of the year, the 81st Academy Awards, in a musical medley for the "Best Song" category. The medley features songs from the acclaimed film Slumdog Millionaire. In Spring, 2009, TP embarked on their biggest tour ever, with performances and workshops in Connecticut, New York, Pennsylvania, New Jersey, Ohio, Indiana, Missouri, Kentucky, Tennessee, Texas, New Mexico, and Arizona! Afterwards, TP performed in residency in Bishop, California, and returned to Bar Sinister for their third performance of "Drums of Darkness." TP headed to Chicago in May to collaborate with Project Bandaloop for Jam Productions' production celebrating the grand opening of the Modern Wing of the Art Institute of Chicago. 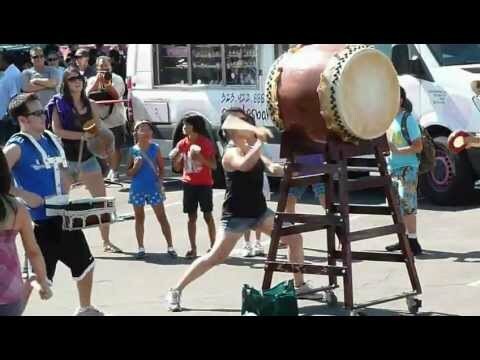 In the summer, TP returned to the OC Fair, and conducted workshops for the North American Taiko Conference. In Fall, 2009, TP marked another milestone in their history by moving into their own dedicated studio space in Long Beach, California. The new space is the only taiko studio in all of Southern California, and educational programs for both beginning and advanced taiko students are being developed by the company. In Spring, 2010, TP toured to Fort Wayne, Indiana and performed to a sold-out house at the Arts United Center, produced by the Fort Wayne Dance Collective. TP was also booked for a week-long residency program at the second largest performing arts center in the U.S., the Playhouse Square in Cleveland, Ohio, and conducted their most extensive workshop tour to date, working with Moab Taiko Dan, Denver Taiko, Fort Wayne Taiko, Midwest Buddhist Temple Taiko, Kokyo Taiko, Dublin Taiko, Pittsburgh Taiko, Oberlin College Taiko, Icho Daiko, Smokin' Bachi Taiko, and Kyorei Taiko Kai. Upon returning from the tour, the group was invited to perform with rock band 30 Seconds to Mars at a sold-out show in LA's famed Greek Theatre. In Summer, 2010, TP performed with music legend Stevie Wonder on his hit A Time To Love as part of a world-drumming all-star band at the Bonnaroo Festivalin Manchester, Tennessee. TP was also featured in FAMSA's 2010 Kurazai marketing campaign in Mexico. TP recently produced their home concert, "Rhythmic Relations 2010" at the John Anson Ford Amphitheatre in celebration of their 10-year anniversary, and released their first CD, "Surrounding Suns." TP also traveled up to Mt. Shasta, California, to perform at the largest taiko festival on the West Coast, ShastaYama 2010, and recorded at the world famous Capitol Studios with Squeak E. Clean Productions for the 2010 Target Kaleidoscopic Fashion Spectacular in New York City. TP also received three grant awards for 2011, from the Department of Cultural Affairs Cultural Grant program and Creative Exchange Initiative and the Los Angeles County Arts Commission. In Fall, 2010, TP was invited again to perform with rock band 30 Seconds to Marsat the biggest annual rock music event in Southern California, the Epicenter Rock Festival. TP toured to Fresno, California, playing to a full house at the prestigious Shaghoian Concert Hall, and then headed out to Geneseo, New York, to perform at Wadsworth Auditorium. In Spring, 2011, TP performed in a musical medley featuring Usher and Justin Bieber on the 53rd Annual Grammy Awards at the Staples Center. In March, 2011, TP performed at the Columbia Theatre in Longview, Washington, and made their first appearance at the prestigious Getty Center in Los Angeles. In June, TAIKOPROJECT performed to a sold-out house in the inaugural season of the beautiful Three Stages at Folsom Lake College and made another national television appearance on NBC's "The Voice" with singer contestant Vicci Martinez. In June, 2011, they debuted new collaborative work with taiko legend and guest artist Ryutaro Kaneko at their home concert, Rhythmic Relations 2011. In July, TAIKOPROJECT made their U.K. debut at the U.K. Taiko Festival in Exeter, performing for a sold-out house at the Northcott Theatre. TP was a featured performer for the first TedX Socal Conference in Long Beach in mid-July, presenting a talk/musical medley entitled "Transforming Taiko." 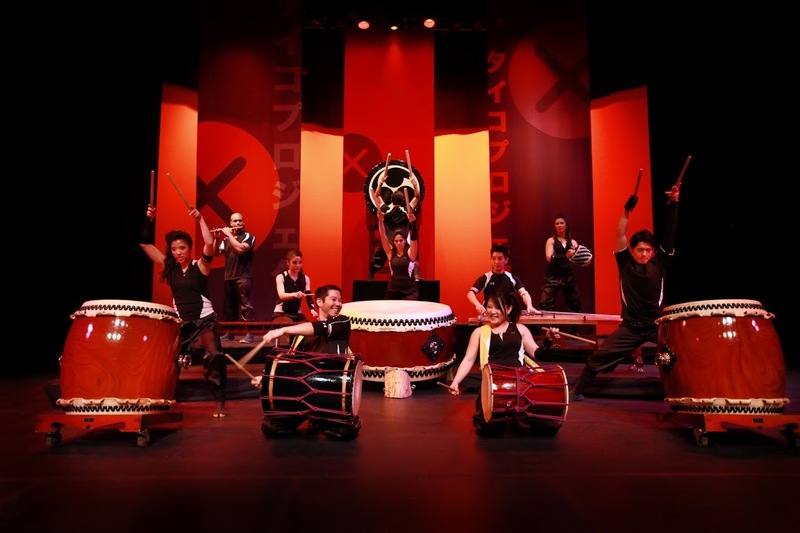 In August, TAIKOPROJECT toured to Idaho and Utah, conducted workshops at the North American Taiko Conference, and performed with Glee star Jane Lynch in the 2011 Do Something Awards at the Hollywood Palladium Theatre. Most recently, they were featured in a KTLA 5 News at 10 Story, narrated by Dave Malkoff and filmed by Phil Ige. List the instructors, teachers and mentors who have worked with the ensemble. Members of TAIKOPROJECT have studied individually with teachers such as Seiichi Tanaka, PJ Hirabayashi, Kinnara Taiko, Kenny Endo, and many others. List a selection of taiko players or groups that have collaborated with the ensemble. List a selection of non-taiko players or groups that have collaborated with the ensemble. List a selection of publicly accessible audio and/or video recordings featuring the ensemble. List a selection of articles, master's theses, dissertations, or other publications written about the ensemble. Describe the ensemble's musical and performance styles. Please include title, composer, date of composition, special reason(s) for composition, and what the work represents to the group.